Published September 25, 2009 at 250 × 347 in What a Stud (Welding). 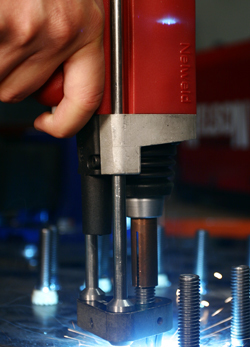 Stud welding can be performed with a hand tool that is brought to the material. Photo courtesy of Nelson Stud Welding.